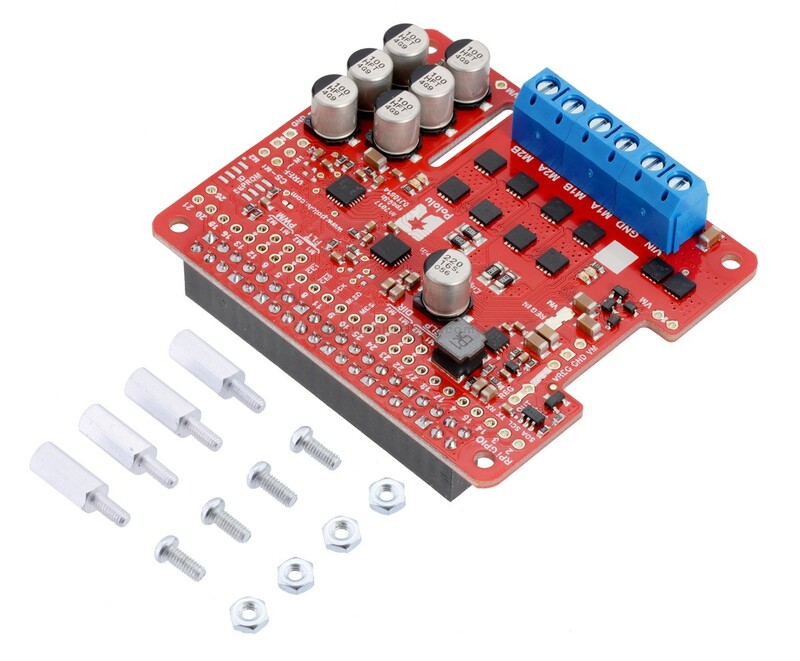 This add-on board makes it easy to control two high-power DC motors with a Raspberry Pi. Its twin discrete MOSFET H-bridges support a wide 6.5 V to 36 V operating range and are efficient enough to deliver a continuous 14 A without a heat sink. 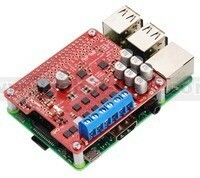 This add-on board makes it easy to control two high-power DC motors with a Raspberry Pi. Its twin discrete MOSFET H-bridges support a wide 6.5 V to 36 V operating range and are efficient enough to deliver a continuous 14 A without a heat sink. 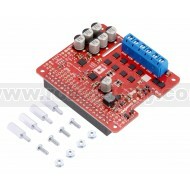 The drivers offer basic current limiting functionality, and they accept ultrasonic PWM frequencies for quieter operation. The default pin mappings make it easy to get started, but they can be customized for more specialized applications. 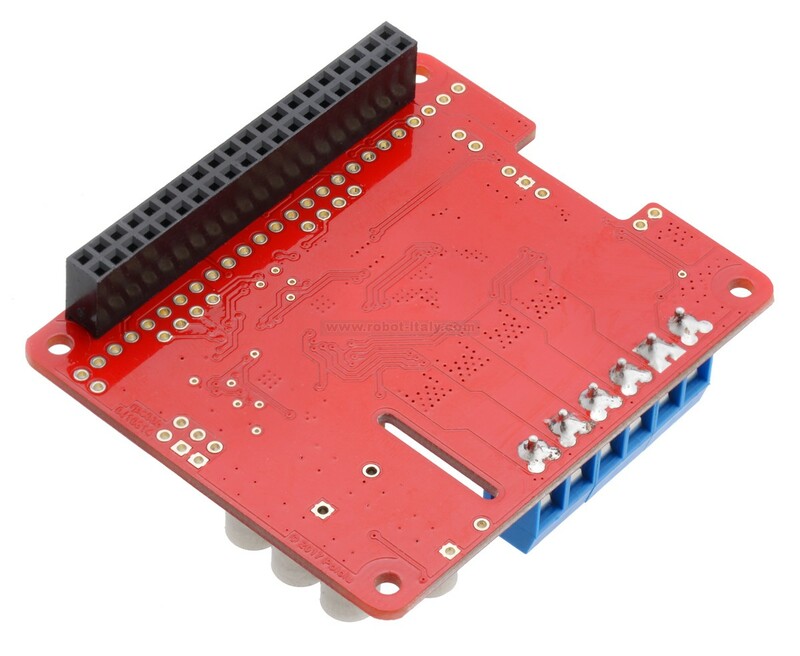 This version ships fully assembled with connectors soldered in. 1 Without included mounting hardware. 2 Absolute maximum; higher voltages can permanently destroy the motor driver. Recommended maximum is approximately 30 V, which leaves a safety margin for ripple voltage on the supply line. Disconnecting on-board regulator increases absolute maximum to 40 V. Not recommended for use with 36 V batteries. 3 Typical results at room temperature with both channels running at 90% duty cycle.